Captain Richard B. Haley was born July 27, 1810 in Tennessee. 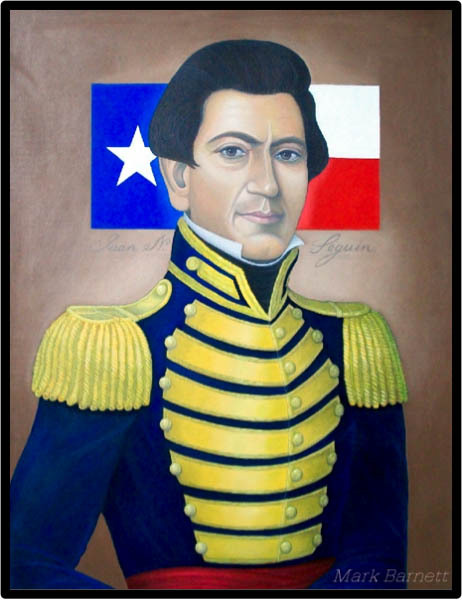 A veteran of 1835 Texas armed resistance to Mexican forces, he participated in the Grass Fight (Nov. 26, 1835), and in the victory over General Cos’ forces at San Antonio on Dec. 10, 1835. He served in the Shelby County Mounted Milita 1838-1839. For his services as an early colonist and soldier, he was given six land grants. After 1850 he lived in Leon and Freestone counties. Twice married, he had three children. A friend of General Sam Houston, he was a farmer and had operated Haley’s Ferry on the Sabine River. He died July 19, 1877 in Freestone County and is buried in the Salem Cemetery there.